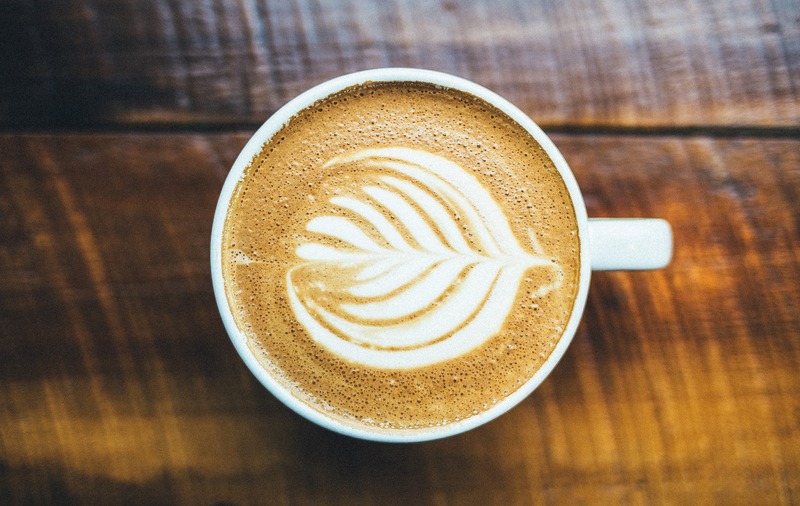 Sciblogs | Mmmmm … the science behind your latte! Mmmmm … the science behind your latte! Coffee-lovers, rejoice! Scientists may have discovered the ideal speed for pouring espresso into milk, according to an international study run by Princeton University, published in Nature Communications this week. Using liquids that mimic espresso and milk, the researchers tested a variety of pouring speeds and found that the second liquid needed to be added at faster than around 21cm per second to give those lovely creamy-brown layers under the delicious foam we all enjoy. Pattern forming systems are some of the intriguing and fascinating phenomena encountered in phenomena throughout science and technology. In nature, one might find such patters in the surface of deep water, oscillations in flames, large-scale von Kármán vortex streets in clouds, and the symmetric shape of snow flakes. These patterns comprise some of the earliest self-organized systems. They have attracted great curiosity and scientific exploration over the years. Pouring hot espresso into warm milk can create distinct layers but only for a specific pouring speed. Distinct patterns can form in liquids when a heat gradient causes a portion of a fluid to heat up and become lighter and another portion to cool down and become denser, giving rise to convection cells. Competition between two different types of gradient can lead to a similar effect called double-diffusive convection, as can be observed in the layering of the ocean due to competing salinity and temperature gradients. In a fluid system, when thermal gradients are introduced in the presence of an initial well-defined density gradient, distinct layered patterns are observed similar to those sometimes found in the ocean due to double-diffusive convection. Surprisingly, we observe distinct horizontal layers formed after haphazardly pouring espresso into a glass of warm milk. Pouring forces a lower-density liquid (espresso) into a higher-density ambient(milk). The downward liquid inertia caused by pouring is opposed by buoyancy. The dynamics is similar to the fountain effect, which characterizes a wide range of flows driven by injecting a fluid into a second miscible phase of different density. In order to replicate how layering can occur in everyday situations (such as the pouring of a latte), Howard Stone and his team performed experiments in an experimental liquid that mimics the coffee-based drink. The team identified double-diffusive convection as the mechanism responsible for the appearance of density layers in latte. A critical pouring speed was found in order to produce the layers in a latte. At lower pouring speeds the liquids mix but do not separate out into layers. This study could be used in daily life to easily and repeatedly produce layering in soft materials in an industrial setting. Below: A video of simulation on the development of layering in the mixture. Credit: Lailai Zhu, Nan Xue and Howard A. Stone. Below: A video of layering after pouring hot espresso into hot milk. Credit: Nan Xue, Sepideh Khodaparast and Howard A. Stone.